The Greek islands make up 20% of the total area of Greece, creating a coastline of more than 15000 kilometres - an ideal and phenomenal yachting area. The climate along this coastline is Mediterranean: mild moist winters and dry hot summers. July and August peak in high temperatures and sun hours - the high season for chartering! In October and November the Azores High becomes less dominant and frontal systems - followed by cool air masses - start entering the East Mediterranean from the north. The contact with the relative warmer seawater will subsequently lead to an unstable atmosphere and showers. Nevertheless, sailing until end of October can still be lovely. Our focus is on the Ionian sea, which we service out of our main base in Corfu. 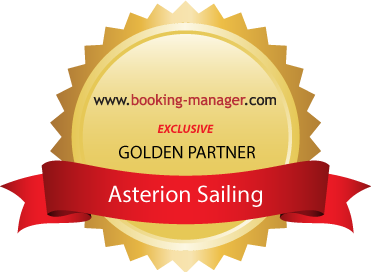 Bookings are also possible from our satellite base in Preveza and we also offer selective yachts in Athens. Having said, depending on how long you intend to charter a yacht, you can reach other other sailing areas in Greece. Fancy an unforgettable sailing experience with Oceans of Comfort? A larger dinghy? A heating? An airconditioning? Proper bedlinen? Then you just found the right place. Have a look at our yachts and what they offer.